Minneapolis. Milkweed Editions. 2018. 84 pages. Footnotes in the Order of Disappearance progresses through gradual inoculation. Bit by bit, the reader becomes accustomed to the irony and paradox with which Palestinian American poet, translator, and physician Fady Joudah works. Joudah writes with a “fever,” crafting a dense lyricism that forces the reader to become a “footnoter,” inking the margins with glosses to his medical metaphors. 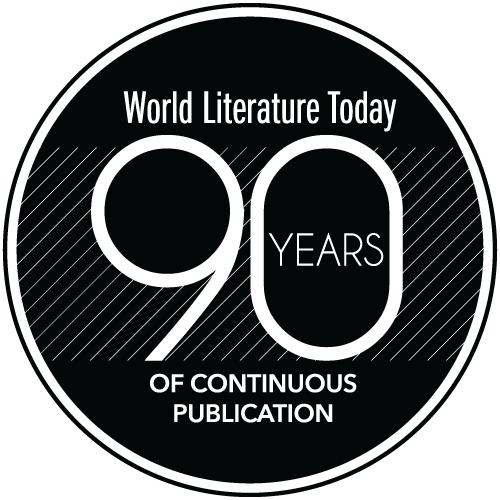 Tracing the smoke trails of philological, global, and personal themes across the book’s three main sections reveals that Joudah’s own lines are, as the title quietly hints, the antithesis of footnotes, working not to explain or unpack but to convolute. While Haji and Joudah intentionally efface the lines of authorship in their collaboration, meaning remains hermetic. The primary content of all of these poems, these “footnotes,” is hidden away somewhere in the poet’s (or poets’) private mental library. The lines in this book are simply the scraps that, somehow, escaped into the outside world, tasking us with summoning the excitement of an archaeologist sorting through ostraka—an arcane path to the ordinary. 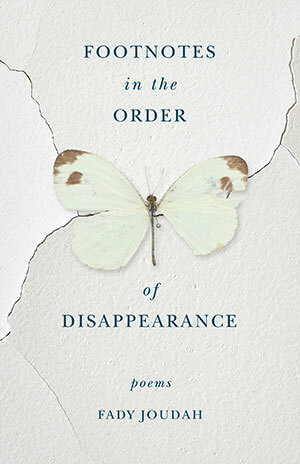 Perhaps we owe the absent fragments to one of Joudah’s most powerful paradoxes: “I call the finding of certain things loss.” And the losing of certain things? 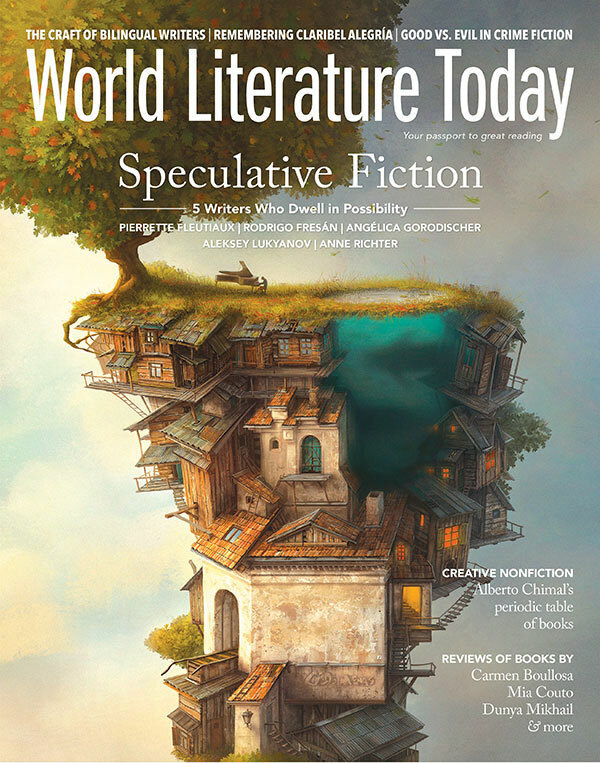 World Literature Today welcomes summer with five brilliant stories in a cover feature devoted to international Speculative Fiction.